We have academic editors who are devoted to getting the very best out of your English writing. Learn more about the Founder of Mark Our Words and the team behind it all. 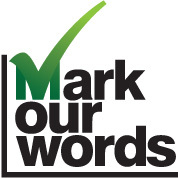 With a team of other Junior Editors, the editing team working at Mark Our Words are all academically qualified and are dedicated to helping customers maximise their English abilities.